When it comes to performing artists, it’s easy to think of peak performance as ‘being at the top of my game when on stage’. Truly, there’s a lot more to it: more dimensions than just the stage and more professionals involved in its definition. 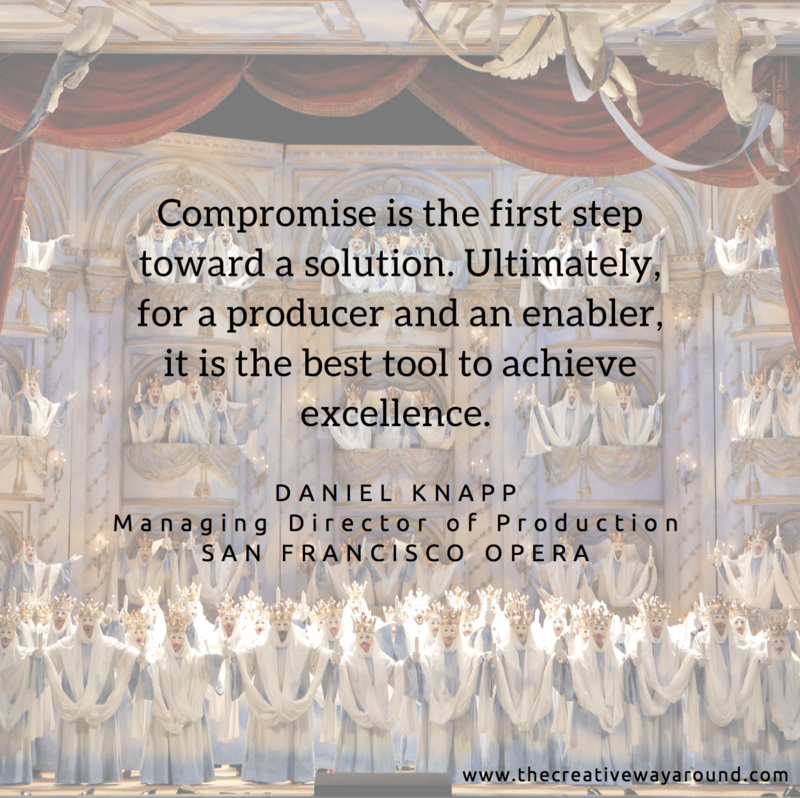 I asked Daniel Knapp, Managing Director of Production at the San Francisco opera, to offer his point of view. Giorgia: You’ve worn many hats in the classical music industry. I imagine you’ve stored just as many lessons, and that’s why I invited you to have this interview: to share them with the new generations of classical musicians. Tell us about how you got to where you’re at. Daniel: Many elements contributed to getting me where I am today. First of all, my dual cultural background — I grew up in Germany but my mother was Austrian. And second, during high school I was an exchange student in Indiana for one year – giving me familiarity with the U.S. culture. I studied music in college. I wanted to be a musician — a tuba player. I was charmed by the idea of playing in the pit or in a symphony orchestra. My vision, on the other hand, was always broader than just making music, and I’ve always had fun not only taking the stage, but also making the stage for others. I ended up backstage almost by accident, and worked as a stagehand for a while. As I realized how much I liked this, I started my own advertising agency: I worked on concerts, touring and a movie, and landed in the field of opera. 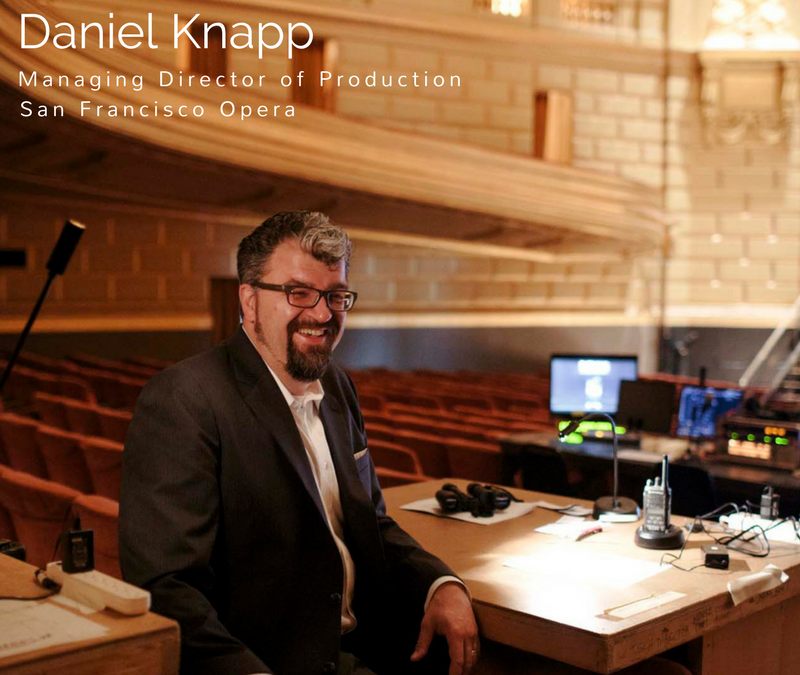 Fast forwarding, I am now the Managing Director of Production at the San Francisco Opera. G: How is your current position similar to making your own music? D: Just like a composer or an artist, I do have a creative voice, and more so than I initially thought. I have a voice with artists in creating new productions. At the same time, it’s completely different, in that I’m not being held artistically accountable for my ideas. This actually helps a lot with my ego. Let me explain. I am emotionally attached to many ideas and concepts, but in the end the merits are not mine; I’m not being judged by critics and I don’t have to read my name in the papers — whether it’s good or bad. The fantastic thing about that is that I can detach myself from everyone’s expectations, while supporting the cast and crew with advice and tools, to create the best possible artistic outcome on budget and within the physical restraints. That’s a dialogue I enjoy a lot. Making everyone’s dream come true, without spending more than we have. G: Speaking of budget and physical restraints: what have you learned about the art of compromising? D: Sometimes compromise is the first step towards a solution. Especially in financial times and circumstances like the current ones in the arts in the U.S. Ultimately, as a producer and an enabler, compromise is the best tool to achieve excellence. I completely understand how I can make the artists furious, if I start chipping away their thoughts and ideas. Then again, compromise often triggers unexpected ideas, which lead to great results. First, I try to remember that what I do is not about me, and never will it be. In fact, I am expendable. If I’m not here tomorrow, someone else will be. The company has worked without me for 92 years, very successfully. What matters is what I do — and what I do well — on behalf and for the better of the company. Second: Even though I enjoy working in a harmonious environment, I am aware that I don’t have to be everyone’s friend. It’s not a popularity contest. That’s what allows me to set the bar rather high, and hold everyone accountable if I see that it’s not met. G: About that. I am a firm believer that today, ‘How do you get to Carnegie Hall? Practice, practice, practice’ doesn’t hold anymore. There’s much more to the equation of Peak Performance. You have to play excellently AND you have to be so interesting, that presenters will know that if you show up, then the audience will show up as well. By means of all-round excellence — including music, showmanship, social media, PR, clear artistic identity and more — you need to attract the audience like a magnet. What’s your take about that? D: An opera singer nowadays has to be much more than just a great voice. When you are an opera singer, you’re now asked to act like you were an actor, to be in shape like you were an athlete and to have a voice like a god. That’s a package that only a few can fulfill. And then you’re on the road for months on end; you don’t really have a home — you live out of your suitcase; you have a car here and a bike there, maybe a partner here and a girlfriend there. That has to be an emotional rollercoaster ride. Making it to a stage of international reputation like ours takes a lot of dedication and effort. And like you said, it’s not enough to just practice: if you’re not convincing in your acting, if you haven’t been around the world and if you only rely on your talent, then the business may say “thank you and good bye”. What I see is that the educational system is developing too many artists, and the industry is not able to support them all, so it gets really selective. And when it comes to a house of our standard, we’re even more selective. We only choose from the best. That’s subjective, to a certain degree, but it’s among our goals to put together a package that will keep the audience committed and returning. G: You listed many challenges that come with a touring life. Your life right now must not be too different, with an intense work schedule and being an ocean away from your family. I imagine you must be a master of energy management. How do you make it sustainable for yourself to get to the end of the day, week, month, year? I make a deliberate distinction between work and life. I treat my job here — and any job in the arts — as being on an oil rig. You’re on a platform somewhere, you’re being flown out every now and again, but when you’re on the platform you work for it head and heart. When you leave it, you can devote your time to something else. Also, my job is not physically taxing — I’m not one of the stage crew downstairs, lifting and pushing — but it is energy draining, and a day at the beach goes a long way. G: Thank you Daniel for sharing so many meaningful lessons today! D: Thank you for taking charge in sharing important insights with new generations!